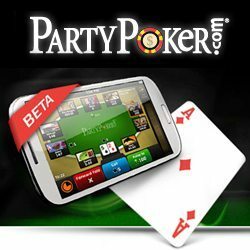 PartyPoker recently was merged with bwin to make the largest online gaming site on the Internet. Site users have the option to play casino games, bingo, place sports bets, and of course play poker. PartyPoker is a great option for those hoping to win their way in to the WSOP Main Event this year. When the WSOP schedule was released, PartyPoker wasted no time getting their satellites running and, as such, have been hosting them since February. Their Main Event package is worth $14,000, with $10,000 going towards your Main Event tournament entry. You can use $2,000 of your package to fund food and travel expenses, and then the remaining $2,000 is used for eight nights in a hotel on the Las Vegas Strip. These prize packages can be won via the $700+$50 WSOP Satellite that runs at 15:20 ET every day. A $14,000 WSOP package will be given out for every twenty players that enter. If you cannot afford to plunk down almost a grand for a single satellite, the site made the $75 WSOP Satellite Qualifiers with you in mind. They take place every day at 15:10 ET and 20:40 ET. One in ten people will receive a $700+$50 entry to the WSOP Satellite. For those that can’t afford to even pay $75 for a single tournament, Sub Qualifiers are also available. They all run daily and will set you back between $9 and $2 depending on the tournament you choose. You can even get into the WSOP for free by trying the daily freerolls that take place at 1:20 PM ET and 7:20 PM ET! Place in the top 25 of one of these freerolls to win your way into a $2 Sub Qualifier. If you create a new account and deposit for the very first time during these promotions, you will receive a seat in the WSOP First Depositors Freeroll. There are two more First Depositors Freerolls: April 30th and May 28th. The top ten players in each of these special freerolls win a $700+$50 ticket for the WSOP Satellite. I already mentioned that PartyPoker can be used for more than just poker, making it extremely convenient for everyone that loves games. PartyPoker is a safe and reliable site for all your gaming. You can roll the dice at the craps table, wager some money on the roulette wheel, or double down playing some blackjack. Have fun at the tables and see you in Vegas! In total there are thirty-nine WSOP packages up for grabs via satellites at Betfair Poker. If you win a Main Event package, you will receive more than just $10,000 for your event buy-in. You also get ten nights of accommodations and breakfast, admission to a welcome event, and spending money. This package is worth a total of $14.5k. You can win a Main Event package by playing the Main Event Qualification Final scheduled for Sundays at 20:00 CET. It will cost you $320 to buy-in. If your bankroll can’t handle such a high buy-in, there are 12 daily WSOP qualifiers that can be played to win $320 seats. If your eyes are set on a Side Event package, make sure you’re free for one of the Side Event 54 Qualification Finals on either Tuesday or Thursday. You will also need $320 to pay for these satellites. You will play the $1,000 No Limit Hold’em Event 54 if you win a Side Event package. You also get money for flights/food and hotel accommodations for 7 nights. This package is worth a total of $3,600. The other way to win a WSOP package is by getting your Players Club level as high as possible. This gives you the chance to receive tickets to Shooter tourneys that will run in early June. Six Shooter tourneys are scheduled, and each one awards two $5,700 WSOP packages. Players winning these packages will participate in both Event 54 and Event 56 in Vegas. Winning a WSOP package means that you have to wear Betfair patches for the duration of your event. You are required to ensure that you have all documents necessary for travel to the United States. You must also arrange your own travel as Betfair will not book flights for you. If you hate tournaments but somehow manage to win a WSOP package, you are not forced to fly to Vegas for the event. All seats are fully transferable. On the other hand, you cannot receive cash in lieu of the event package. You probably won’t want to compete for multiple WSOP packages because unlike most poker sites, Betfair does not give you cash for subsequent seats won. They choose to provide a different live event package, instead. If your WSOP event were cancelled for some reason, you would also receive a live event package of equal value for another series.